Looking for some great inspiration and fresh ideas for planning your wedding, or maybe just some good old fashioned fun? Come to the DoCha Vida Wedding Walk this Thursday in Downtown Chandler! 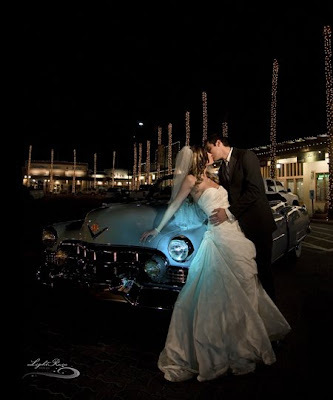 DoCha Vida, meaning "Downtown Chandler Life," will be hosting a wedding walk filled with incredible local businesses catering to all aspects of weddings--hair & makeup, cakes, catering, flowers, gowns, jewelry, accommodations, reception sites, photography and much more! DoCha Vida Wedding Walk is one location featuring many amazing sponsors such as: Art on Boston, Crowne Plaza San Marcos Resort, Downtown Chandler Community Partnership, Images Salon & Day Spa, InPockets Bakery, Inspirador, Light Rain Images, and Uptown Bridal & Boutique...all within walking distance in the hip and charming Downtown Chandler. How convenient and wonderful! Don't forget to stop by and say "Hi" to Life Design Event Planning, Thursday January 22nd from 5-8:30 p.m. at DoCha Vida Wedding Walk.